Any office move can be done smoothly if you have planned your move beforehand. Planning office moves requires full preparation both before and during the day of your transfer. Now, the transfer of enterprise is not a usual company process. Thus, you may be unsure how would you go about preparations. Business Relocations Services is a commercial removalist Sydney company which business is moving enterprises. And we can definitely lend some business relocation moving tips to help you out. We’ll help you approach this dilemma with ease. So here’s how it is. You need to ponder, how do you like this thing to go? What is the ideal scenario for your moving day? Hence, what are the objectives of your move? These objectives will give you a hint how would you go about this endeavour. And consequently, tell you what are the milestones that you will need to go through. Of course, it is vital to ensure that the milestones address certain issues that the move may incur. For example, to prevent stranger danger, one milestone should be a briefing for your employees. They should be trained how to identify dubious personalities during the move. And how would they identify a legitimate member of the of the moving team as well? Once these objectives and milestones are laid out, you will be able to move your business much easier. So now its time to go down to business. 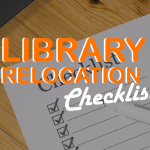 Again, since this is new to you, so commercial removalist Sydney will walk you through on how to lay out your objectives and milestones. And to do this, we’ll give you the right questions to ask yourself before transferring location of your business. Out from these questions, you should be able to paint a much clearer picture of your objectives and milestones. 1. How much is my moving budget? Can I afford to move? Moving to a new office is costly. But you can make it fit your budget. Just make sure to identify the expenses that you will need. Make a list. Then, assess whether any of them has any cheaper alternative. Take your time in studying your list until your budget comes in ratio with the allotted sum of expenses. There should be an allowable margin between your budget and your allocated expenses. Make it a point to ensure that your budget is far greater than your allotted expenses. This is to cover contingencies and hidden costs if unavoidable. Moreover, to avoid any hidden costs, create a financial costing for your new office. If you are renting your place, see to it that there’s no lengthy overlap with your contracts. So, you will not be paying for two offices while you are relocating. Although having a few days overlap is allowable. To help you further. Here is a checklist of the main costs that commercial removalist Sydney experts can offer. Scheme of the new workspace costs can include deposit, first-month rent/pay, heating, electricity, maintenance and cleaning. 2. Am I choosing the right place for my business? Whatever type of business you are in. It really needs the appropriate location for the product or service to be rendered. Finding the best physical location for your business is vital to the business’ success. Conduct a good research about the place you are planning to relocate and see if it best fit your business. You can have a list of places and narrow down the list until you will find the exact place. Also, you can ask vendors about the place. So that you will have more idea about how’s the marketing trend going. Is it growing or failing? Double checking the demographics and accessibility are also necessary for the progress of your enterprise. This will give you a hint if the location will be a good site or not. 3. Am I ready for the lifestyle adjustment? Once you have answered and find the appropriate place for your business. Ask yourself, am I ready for the lifestyle change? Moving from one place to another wouldn’t be the same. You will not be able to avoid changes. The system you have before won’t be the same once you find a new place. New place, new environment and a new set of people. Whatever it takes just ready yourself for the lifestyle change. Eventually, you will get used to it. 4. What kind of office environment I’m looking for? The right choice of the office environment is an important component of your company. The environment helps motivates workers in doing their job right. This would enhance the productivity of your staffs and the business as well. It is best to work with ease and comfort of the new space you are in. It helps sets the mood of the place. Furthermore, you can extend some efforts on the floor layout. Studies proved that the working environment plays a great role in a company’s productivity. Once you’re settled with a floor layout, you can talk to one of the commercial removalist Sydney members. So that, we can follow such layout when moving your stuff into the new place. 5. Should I lease or buy? Decide wisely and act accordingly. Your decision on this question would matter depending on some factors like financial leverage, duration of your space needs whether it’s for short or long-term and etc. Leasing would be a great option for those businesses who only need space for a short-term span of time. This allows you to occupy a good area at a cost-effective rate. You will also have more flexibility when it comes to decision making as your business grows. However, buying your own space gives full freedom to brand your space. You can utilize your space in various ways. And get more chances to earn on your investment. 6. Do I need to hire commercial removalist Sydney company to help with my relocation? Definitely, yes! Asking help from professionals certainly lessen the stress of your relocation. You don’t have to be alone in doing the whole moving process. Because there are moving services who are ready and well trained in doing moves. You can probably save your energy from physical labour and save your money because they offer a reasonable price. Booking them in advance is good so they can help you out with your plan. Although, the final decision is still up to you. 7. Should I keep on running my business while moving? Running your business while you are moving would be a hard job to do. It is understandable that you don’t want to stop running it on your move. So, you can lessen downtime. However, running your enterprise even until the day of your move can be difficult on your part. Probably, you can still run the business on planning phase but not on the day commercial removalist Sydney starts moving your stuff. 8. When should be my moving advertisement? Don’t lose your customers when moving. Let your customer know in advance before the actual date of the move. Start advertising your move to your valued customers once all things are set for the moving day. You can give out business cards to them with the updated information including location, contacts, email and etc. Update the details in your email too. Attach an auto-response to all your incoming email that would help remind people that you are moving. Also, include the date and time when will the business operation resume on the reminder. Moreover, you can update online listings as well and may consider a grand opening event for the new location. 9. What’s a good marketing strategy for the new location? Developing a marketing strategy right can be helpful in your company’s growth. Especially if you have just relocated premises. Your strategy may vary depending on your targeted audience. Just think of a tactic that would best suit your enterprise. But an office warming welcome, may it be formal or informal helps set up the mood for your staff, clients and to your customers as well. It will give them a feeling that they are welcome to your new business premises. Also, this helps the transition less daunting. Additionally, you can send out invites to your clients regarding the business you put up. Email marketing and making blogs is a good marketing tactic too. And there you go! Now you know the necessary questions to ask before moving. You should have an idea by now how should your office relocation be like. Call on the rest of the team to brainstorm these thoughts and set up the perfect plan for your relocation. Of course, if you need a hand we’ll be happy to sit with you too. Do you have any questions, thoughts, or want to hire commercial removalist Sydney today? Do not hesitate to contact us for further information. Give us a call us at (1300 92 94 40) and we’ll be happy to assist. Also, you might want to check out Best Business Relocation Services for you to know how the guideline and advantages in looking for the best in the industry.